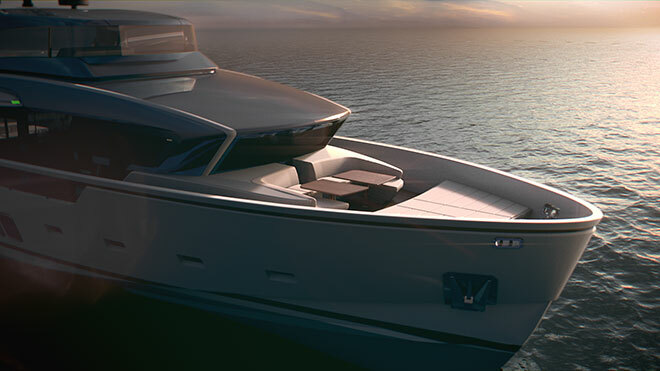 The new SX88 by Sanlorenzo is a 27metre motor yacht and the first model in this revolutionary range. 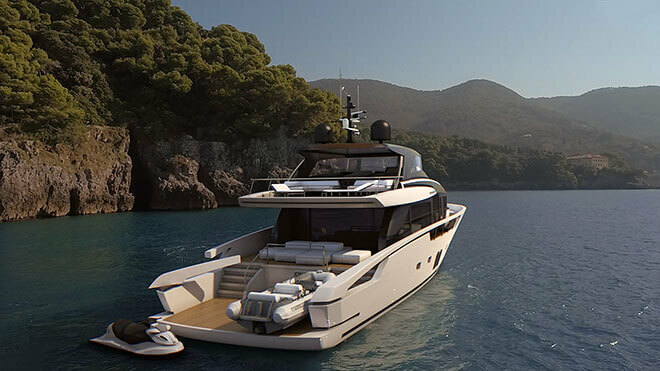 It is unique in several ways, with its state of the art technology such as high powered lithium batteries to keep your yacht running in silence; a combined Grp hull and carbon fibre superstructure; as well as the latest in speed, performance and environment sustainability. Very much designed for the individual that likes spending as much time outdoors as indoors, the large windows allow in a lot of natural light and there are vast open spaces throughout. 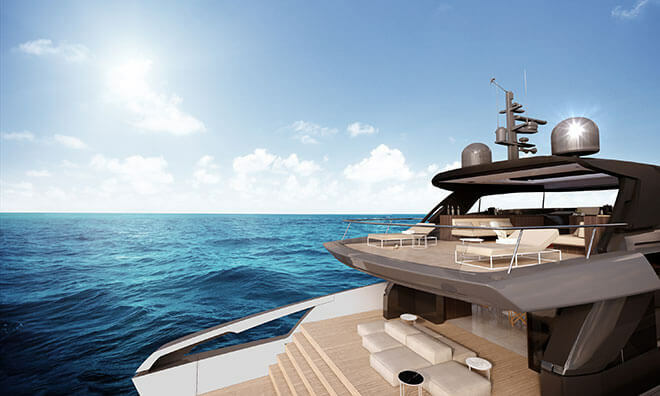 In particular, the main deck has a unique setup that permits the space from the stern to the bow to be opened up to create one large space, a first for a 27-metre yacht. Furthermore, there’s also plenty of space for sunbathing, double L-shaped sofas and coffee tables. 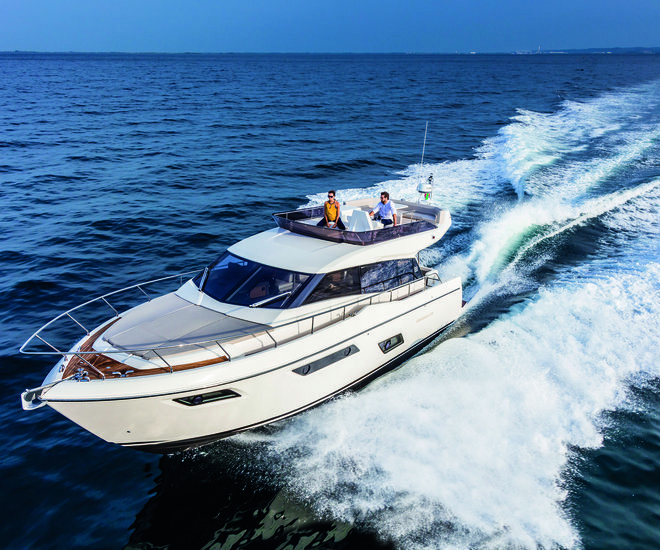 At the stern, there is a large 30 square metre beach area that offers space for a 15’ tender, a jet ski and a number of other toys. 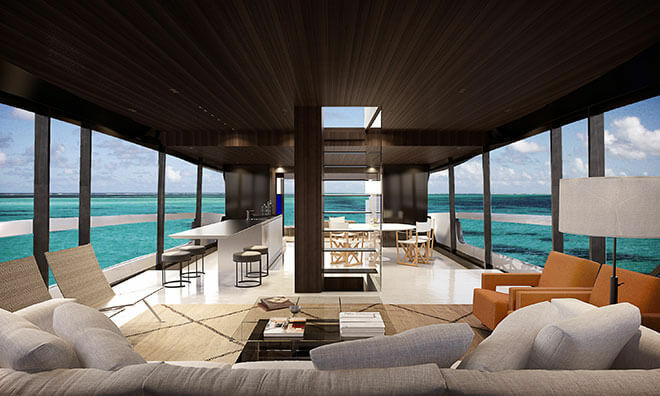 The space is five steps below the main deck and watercrafts are easily transferred via an integrated and well-hidden crane. Back inside and just a flight of stairs down, the lower deck offers four or five double cabins depending on layout. 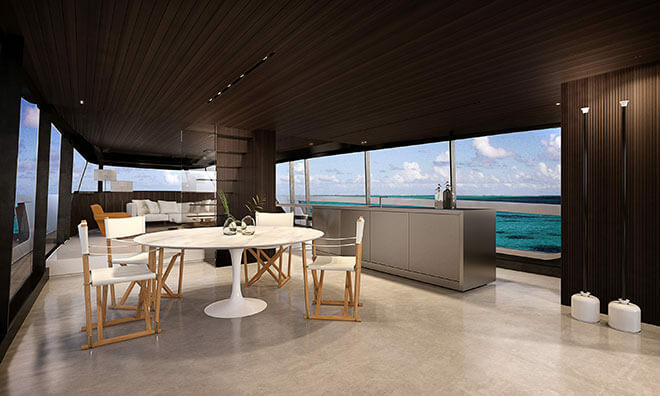 The Owner’s cabin would also be on the lower deck if the open space layout is chosen, along with the galley. If it isn’t, the Owner’s cabin can be located on the main deck. Unique designs also transfer over to the environmental friendliness of the SX88. 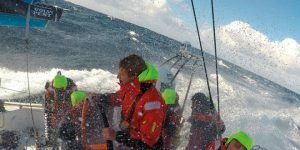 With highly efficient lithium batteries, special thermal insulation on the glass and low consumption systems, RINA awarded her with the Green Class. 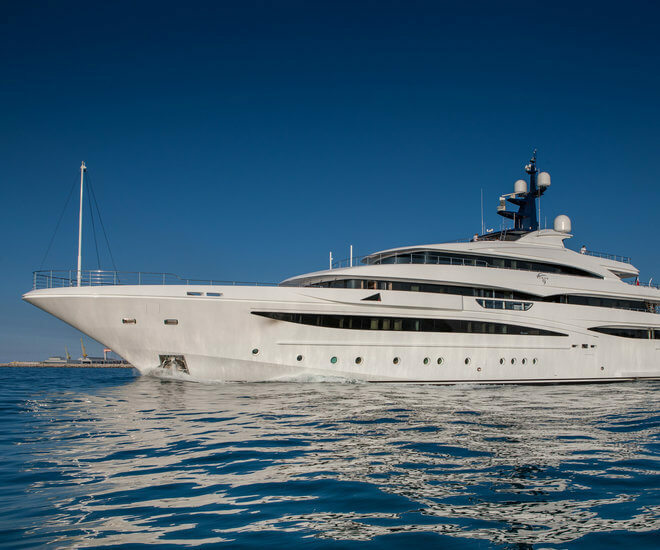 The yacht can run all services on board for four to eight hours, making her emission-free during that period. 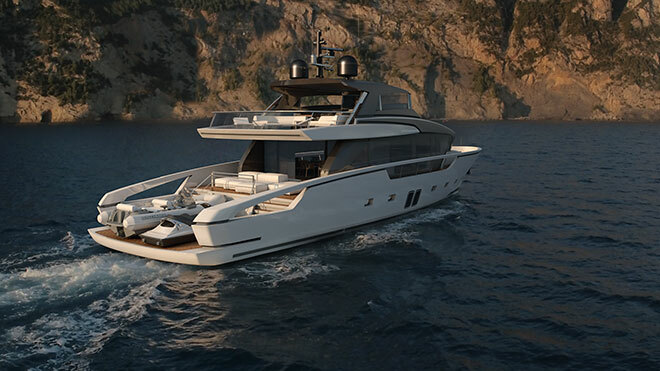 In-house yacht designer, Luca Cantella conceived this yacht, adding to a successful career having previously developed the Bluegame range of motor yachts. 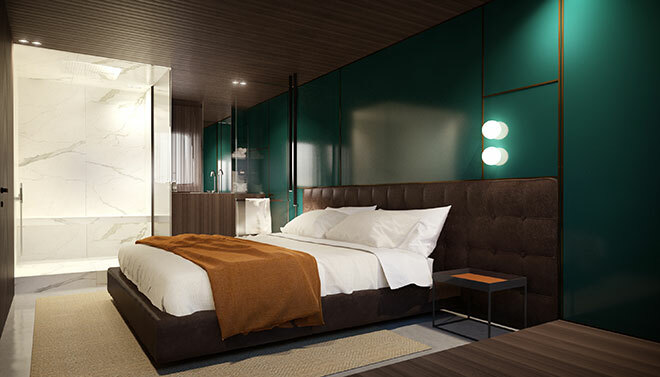 The design team also includes Officina Italiana Design’s Mauro Micheli and Sergio Beretta, Lou Codega and Italian interior designer Piero Lissoni. Piero Lissoni’s interpretation of space is this concept: “I keep picturing boats, even very large ones, as if they were lofts, that is very open, highly liveable spaces, which make it possible to be in contact with what’s around us.” Unique to his design expertise is that he didn’t want to adapt the furniture to the space, a process that is usually typical in interior yacht design. 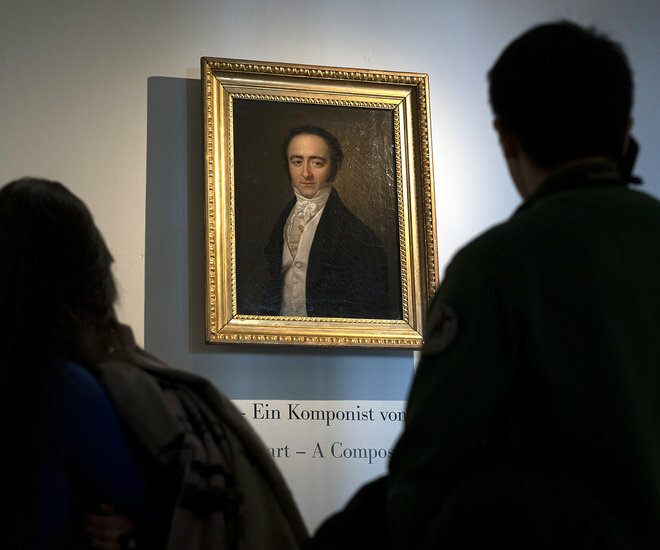 Instead, he has arranged the furniture freely, much like you would in a home. Purchasers will also be able to customise the colours and materials used in their SX88 as they see fit. 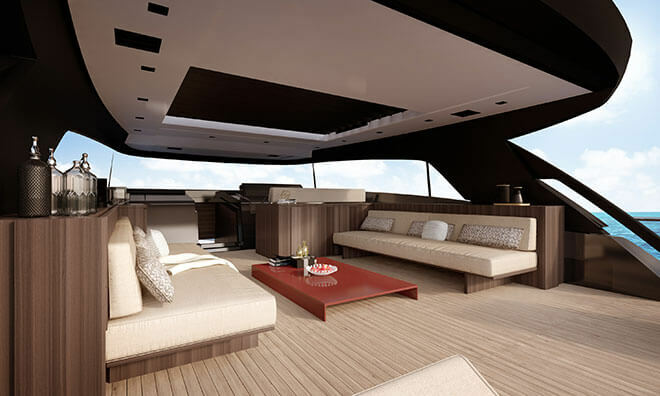 This enables them to create each yacht to suit their own specific taste. 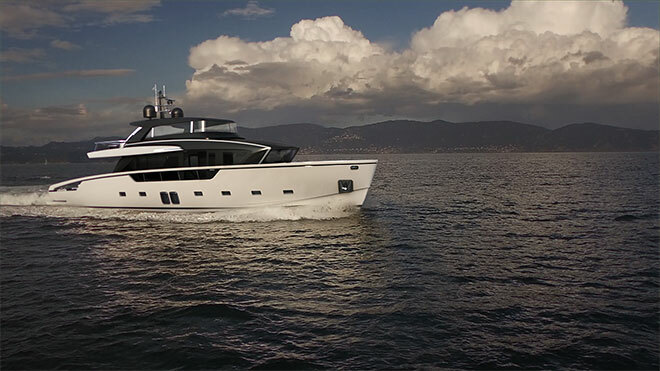 Built at La Spezia shipyard in Italy, the SX88 will make her official debut at Cannes next September. Deliveries will start from Spring 2018, with the first six already ordered. 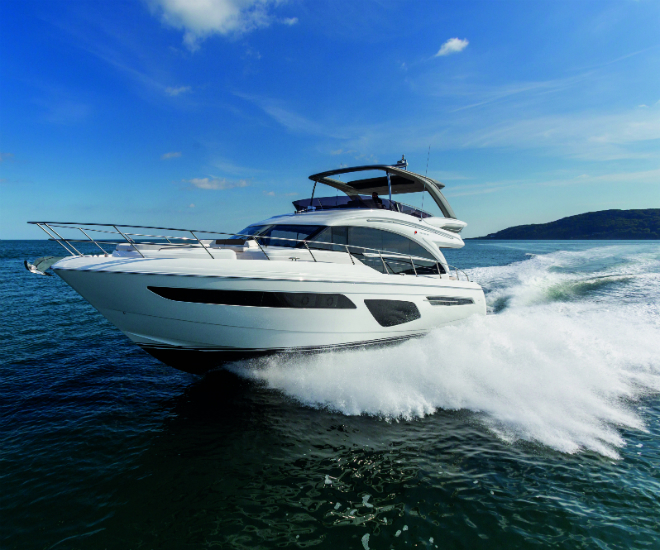 For more information, visit Sanlorenzo and Simpson Marine.